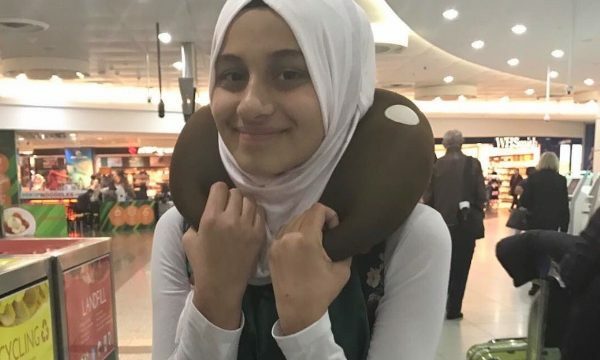 Topic: Remembering Zynab Al Harbiya, the 12-year-old Australian victim of Islamic State. On the 31st of May 2017, a young girl was killed by a bomb in the city of Baghdad. This young girl, Zynab Al Harbiya, was out with her family on a trip to the ice-cream shop that she had begged for after a long day of Ramadan fasting. Then a bomb went off and her life was over. I am not writing this article to get mad at Islamic State or get all political, I am here to remember the young girl that was and still is, Zynab Al Harbiya. Zynab was described as a “loving and fun” girl, she cared about her family and schooling and lived in Broadmeadows. Her reason for going to Iraq in the first place was to visit her sick grandfather who had previously lived in Australia. As an 11-year-old writing this article, I am deeply saddened and fighting to hold back my tears, as I recall when I was in the same position visiting my sick grandpa not long ago. Zynab could have been any one of us. I could have passed her on the street or even been on a tram with her and I would not have known how wonderful she is. Imagine how her friends are feeling, losing their best friend who not long ago was joking and saying goodbye… Did they know it would be the last time Zynab would ever joke or say “I’ll see you soon”? Not to mention her family troubled and scared, frightened and depressed by their loss. Before the bomb went off did they know it was the last time they saw Zynab smile or laugh. Did they think “I’ll miss you Zynab”? We all feel loss in different ways. Some people don’t cry, some people do. I just can’t even imagine what the families lives must be like now. My dad is a radio announcer, and every day he ends his show with these words: “And when you’re done with your day, go home hug your family because they’re special.” He says he does it because you never know what life will bring, and you should never take for granted those moments and people that you love the most in the world. I guess I know what he means now, thanks to the amazing girl that is and was Zynab Al Harbiya.